The Geeko Ultra-Mini Bluetooth V4.0+EDR USB Class 2 Dongle adds Bluetooth convenience to your Windows based Desktop PC and opens the door to cordless convenience with Bluetooth headsets, headphones and speakers, along with Bluetooth mice, keyboards, and other devices. This adapter fits into an available USB port on your Desktop PC and supports the latest Bluetooth 4.0+EDR Dual Mode standard with Asynchronous transfer rate of up to 3Mbps from a distance up to 10 metres line of sight. 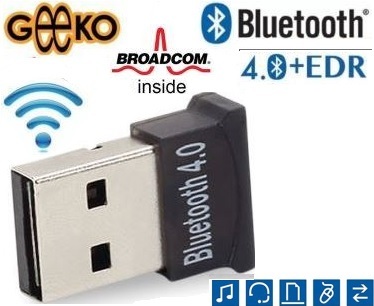 It is also backwards compatible with previous Bluetooth standards (v3.0, 2.0, 1.2 and 1.1) to ensure connectivity with all of your Bluetooth devices. 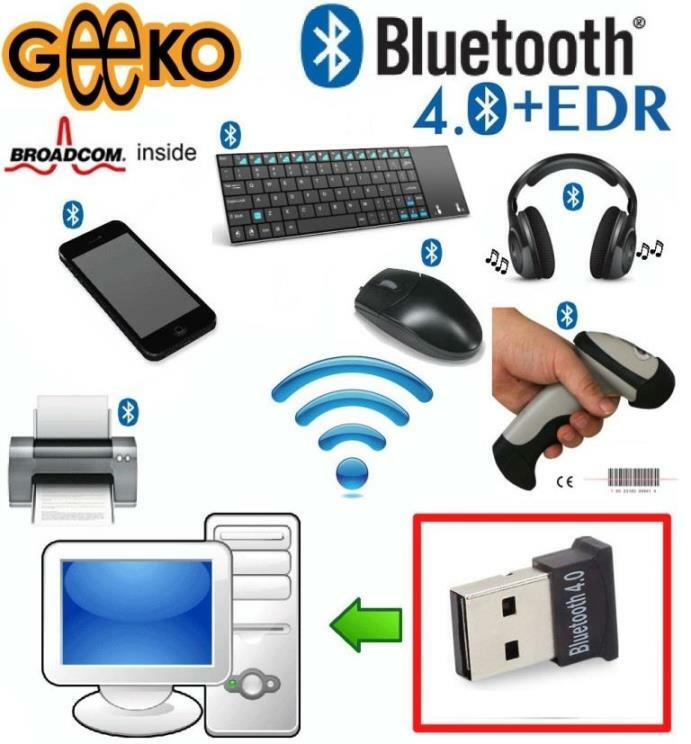 In addition to connecting your Bluetooth devices to your computer, you can also share, edit, and print documents wirelessly and even access the Internet via a Bluetooth enabled mobile phone , it is also designed to connect other Bluetooth enabled devices such as PC-to-PC file transfer, synchronization with Mobile Phone, PDA and much more. It can also connect with up to 7 Bluetooth enabled devices at the same time. * Not compatible with Mac system and ARM-based Windows RT computers.